GM Decorators is a newly founded interior decoration and colourist firm based in the centre of Bristol. 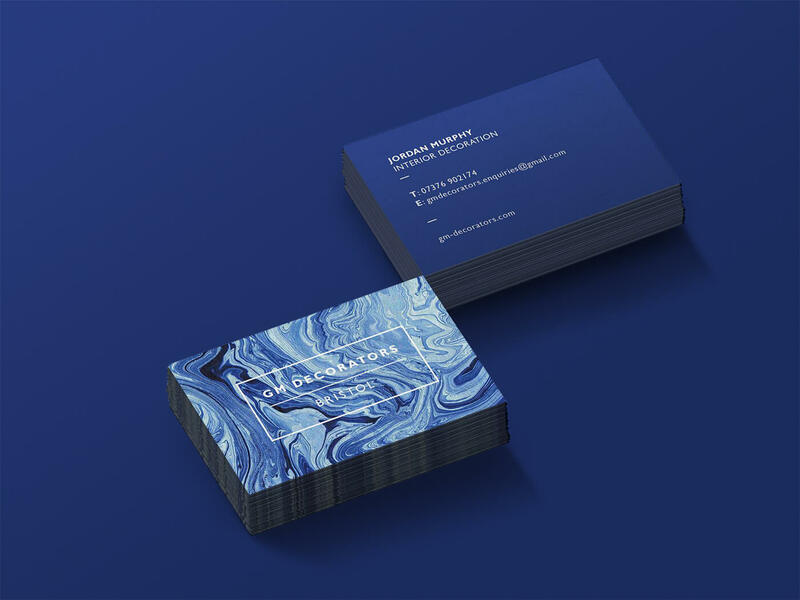 They aim to create a new, contemporary take on the traditional decorating business and were looking for a modern branding solution to match their company mindset. The design is inspired by the beauty of paint mixing and the style of paper marbling. 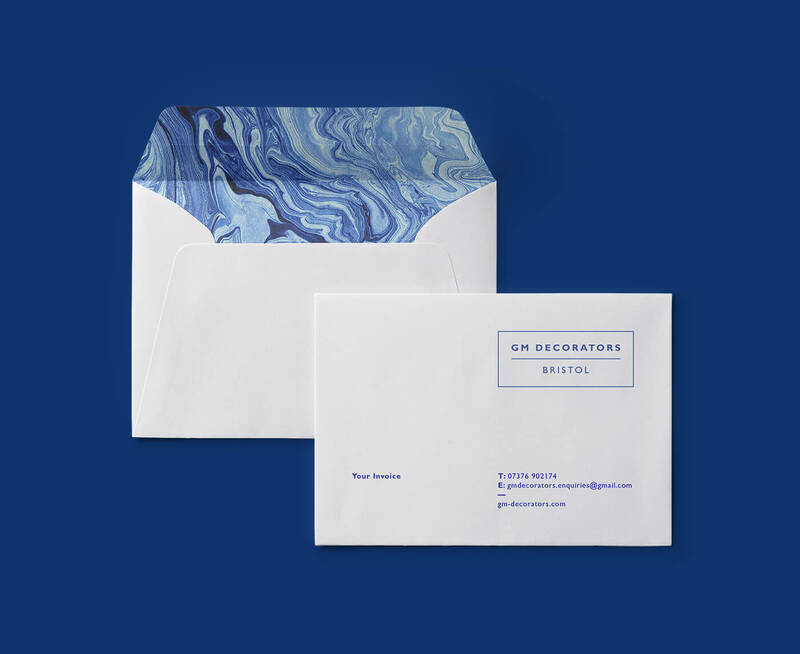 This design direction is applied to create a stylised suite of stationery and a website that pushes the more premium feel of what GM Decorators positions itself to be.